CANALE ITALIA MUX 1: TCI TELEVISIONE CRISTIANA ITALIANA ARRIVA SU ITALIA 160. CANALE ITALIA MUX 1: INSERITI I DUPLICATI DI ITALIA 53, CANALE ITALIA 83 E CANALE ITALIA 84. CANALE ITALIA MUX 1: CAMBIO DI NUMERAZIONE PER ITALIA TV 1. CANALE ITALIA MUX 1: ARRIVA ITALIA 134. CANALE ITALIA MUX 1: CAMBIO DI NUMERAZIONE PER ITALIA TV 3. CANALE ITALIA MUX 1: ARTE ITALIA 125 AL POSTO DI CAGNOLA. CANALE ITALIA MUX 1: INSERITE ARTE ITALIA 124 E CAGNOLA. CANALE ITALIA MUX 1: MODIFICATI I PARAMETRI DI TRASMISSIONE DI RADIO PADANIA. CANALE ITALIA MUX 1: INSERITA UNA COPIA DI ITALIA TV. CANALE ITALIA MUX 1: MODIFICATO IL LOGO DI ITALIA TV. 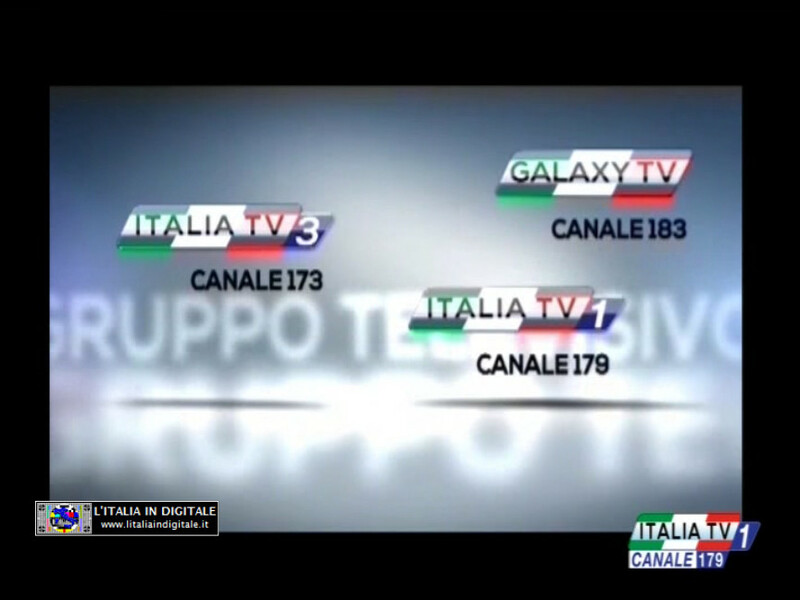 CANALE ITALIA MUX 1: VIDEO PIACENZA SU ITALIA 159. CANALE ITALIA MUX 1: ARRIVA ITALIA 150, ELIMINATA CANALE ITALIA 5. CANALE ITALIA MUX 1: ELIMINATA FRANCE 24, INSERITA ITALIA 141.